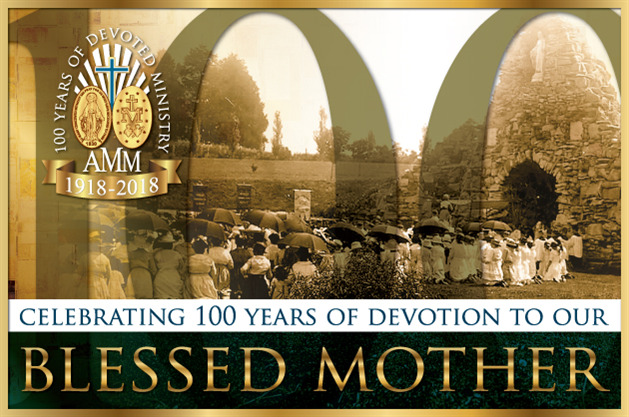 It is hard to imagine that it has been 100 years since the Association of the Miraculous Medal began in Perryville, Missouri. As we celebrate together the Association’s centennial anniversary, send us your prayer intentions to be included in the special Mass at our Lady’s Shrine on October 14 at 2:00 p.m., CT. I also invite you to burn Votive Lights at the Shrine as a sign of your prayer to Mary for her miraculous intercession for your intentions. Read Fr. Kevin’s letter with more information about the Association’s 100th anniversary, and our October event.